Christmas berry (Lycium carolinianum) is a tardily deciduous, and many times evergreen, shrub that rarely exceeds six feet in height. It is sparingly branched with many of the curving branches ending in a sharp thorn. The leaves are dull gray-green, thick, succulent, 1/2 inch long, narrowly ovate, and smooth with entire margins. 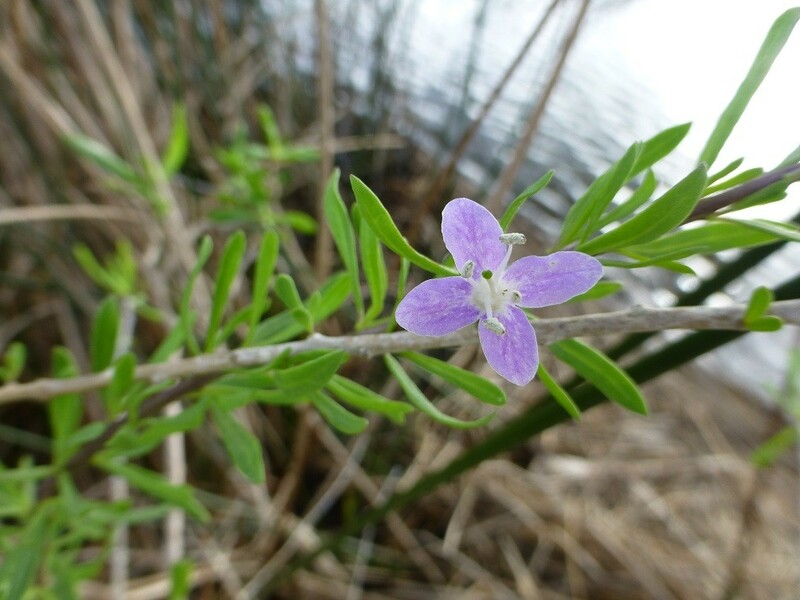 The flowers are pale lavender in color and are born in the leaf axils. The corolla of the small flower may be lavender to nearly white with the throat streaked with purple. The blooms appear in March through December. The fruit ripens in late autumn or early winter. The berry is a bright, lustrous red when ripe and elliptic to oval in shape. Birds are very fond of the fruit. Christmas berry is related to goji berries. 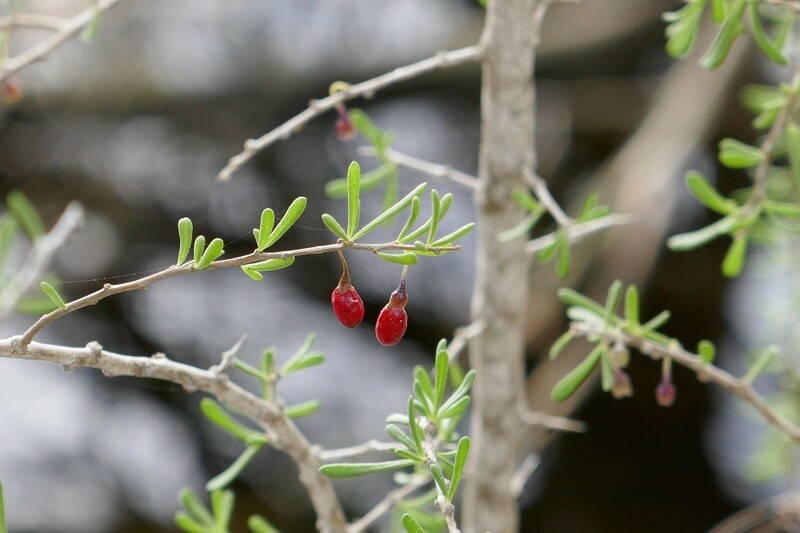 Another common name for goji berries is wolfberry (Lycium chinensis). Christmas berry is very salt tolerant and is found growing in salt water all along the nature coast. In rocky areas along the shore it can be found growing in between rock crevices at the water’s edge. Christmas berry grows in full sun, with average moisture, and an average pH. Some native plant nurseries in our area carry Christmas berry. Propagation is best done by transplants. 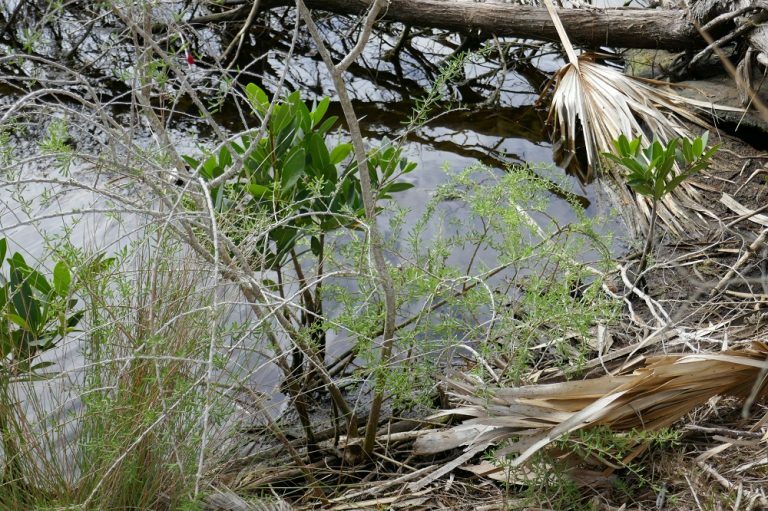 Hernando County has a beautiful example of it in the wild at Jenkin’s Creek Park. Head across the footbridge and you will find it growing throughout the walking paths.